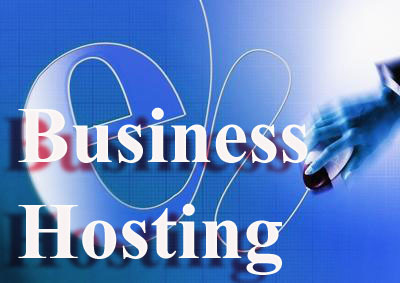 A web hosting business is a 24/7 concern. How do you stay connected to your business when you're not at the office? These days, you can go way beyond cell phones and pagers to take a truly proactive approach to being accessible to your customers. When you’re a web host, your clients expect you to be able to keep their websites online 24/7. Their businesses depend on it, as does yours. But, with few exceptions, you can’t actually live at your place of business. How do you stay in touch when you are away from your office and your clients need you? Fortunately, there are many solutions to this problem. Some of these even go beyond merely being available, to the point that, depending on the job you actually do, you might not need to come into the office for days at a time. Pagers and cell phones were the first steps. Obviously, this technology is hardly new; pagers date to the 1950s, and the first cell phone call was made in 1973. Now pagers are almost obsolete, except for emergency situations in areas where cell phones can’t achieve a good signal (such as deep inside hospitals) or to contact many people all at once (such as relief workers). Many cell phones now feature the classic “beeping” pager function, and can handle text messaging (another function that got its start on pagers). These devices do allow users to contact people and tap into their expertise, but there is a small drawback. Being away from the office often means being away from the records you might need to look up to answer questions. Also, if you do not have the answer to a question, but you know someone else who does, getting in touch with that person may be tricky using just these devices (unless you have three way calling, which is available for a growing number of cell phones). This is where the home office can come into the picture. Home offices not only predate the Internet, they predate computers. I can remember my father having a home office set up against a wall of his bedroom when I was growing up. There are plenty of articles that cover how to set up a home office, so I will not discuss it in any great detail here. Basically, if you have copied your computer records over, a home office lets you work at home as efficiently as you would at work, on similar equipment. Broadband Internet connections available for the home help speed things along. Those who keep home offices might be able to take deductions on their federal and/or state income tax for the expenses associated with them; check with an accountant first. Of course, the home office, like the regular office, is a static location. To really stay in touch, you might prefer to be able to conduct business anywhere: the beach, the coffee shop, the hotel you are staying in for that big conference, and so on. For that, we need slightly more advanced technologies. Like cell phones, Wi-Fi (wireless fidelity) depends on radio signals to work. Unlike cell phones, Wi-Fi uses the unlicensed spectrum to allow mobile devices such as laptop computers and personal digital assistants to make connections. Originally, Wi-Fi was intended to allow devices to connect to wireless local area networks. Now, however, it is often used for Internet access. A home or an office can be set up with Wi-Fi, allowing for a lot of portability for laptop users; a Wi-Fi router designed for home use might have a range of 150 feet indoors and 300 feet outdoors. Yes, as anyone who has ever visited a Starbucks knows, Wi-Fi has made it out of the home and the office and found its niche as a type of free service offered by various businesses. You almost can’t visit a café in a bookstore without seeing people using their laptops, and many (if not most) of those are connected to the Internet via the local Wi-Fi “hotspot.” These hotspots are literally ubiquitous; they can be found all over the world. The original impetus was to support traveling executives, so many hotels, airports, and restaurants feature hotspots. fihotspotlist.com/. Enter your address information; you can choose to look for a hotspot that is within one, two, five or 10 miles of that location. Using this search, I found two hotspots within two miles of my home – not surprisingly, both are located within Starbucks coffee shops, and both are hosted by T-Mobile Wireless Broadband. Incidentally, T-Mobile also offers a subscription service for its wireless broadband Internet access, with more than 18,000 hotspots worldwide. JiWire also offers a search for hotspots on its home page, http://www.jiwire.com. CNet mirrors the site on its Hotspot Zone located at http://cnet.jiwire.com/. Their search function offers more fine-grained control over your search than the one mentioned in the previous paragraph. It allows you to search for hotspots located within 0.2, 0.5, 1, 5, 10, 20, 50, and 100 miles of any particular address. Additionally, you can search by type of location, provider, and whether the hotspot is paid or free (it defaults to bringing you results for both). Being able to connect to the Internet makes it easier to connect to people. Imagine being in a Starbucks and getting a phone call from a client. While you’re sipping your latte, you whip open your laptop, connect to the Internet, and fire off an IM to one of your company’s network engineers to get some questions answered. Never mind that the engineer is across the country taking a certification class. Anyone familiar with wireless Internet access knows that there are certain security issues related to its use. Because it is wireless, other wireless equipment can tap into the signal; hackers can thus steal personal or confidential information, such as passwords, financial details, and so on. Wi-Fi users must employ some kind of protection to prevent this from happening, and make sure it is properly configured. Usually this involves some form of wireless encryption, and sometimes multiple layers of encryption. Not surprisingly, there are companies that address this issue. “Long-range, secure wireless access points allow you to extend your wireless range…through a store or warehouse…while preventing access or leakage of data to war drivers…” explains Mary Hwang, product line manager for SonicWALL, a wireless security systems provider. With wireless Internet access becoming ubiquitous, we can expect to see the blossoming of voice over Internet Protocol (VoIP), which allows users to hold conversations over the Internet as if they were talking on a telephone line. As the security for Wi-Fi improves, secure voice over Wi-Fi will attract more users. In the meantime, you can expect to see many executives making creative use of the tools that are currently available. For example, some instant messaging systems allow multiple users to join in a group chat involving three or more people, a feature known as text conferencing. Executives can use this feature to manage a developing situation, such as a serious power outage or accident at the hosting site, and coordinate what needs to be done. Each person involved can keep everyone else informed of what they have accomplished regardless of whether they’re on the spot or working remotely from an Internet-enabled handheld device. After all, using technology to make the connections to enable people to get their jobs done is, in a sense, an important part of what web hosting itself is all about.